This weekend my husband and I had quite a philosophical discussion about the choosing of vacation destinations. My point was that with all the places known to a person as “must sees” and all the places to be found out on those rural roads it was hard for a person to choose where to spend the oh so valuable vacation time. His point was that there was always something to be found along the rural roads, preferably on the back of a motorcycle. Now, I do agree and he does love riding our motorcycle. Then I also pointed out to him that there were few places I would like to revisit. Venice being one of them. 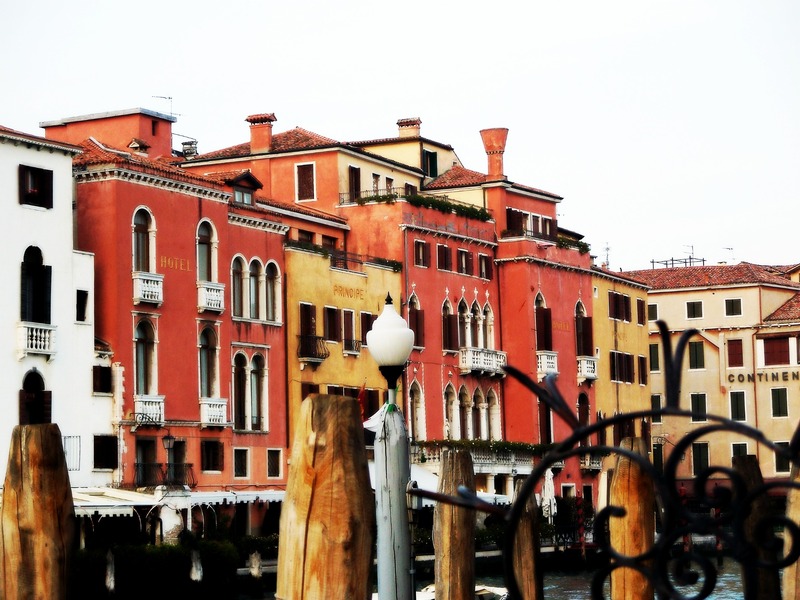 That brought me to trying to remember the hotel that my friend and I stayed at when I traveled to Venice. Alas! I found my photo of the hotel! This entry was posted in Picture from yesterday, Travel With Me! and tagged Found Round and about, hotel principe, Italy, photography, picture from yesterday, tisha clinkenbeard photography, Venice. Bookmark the permalink.